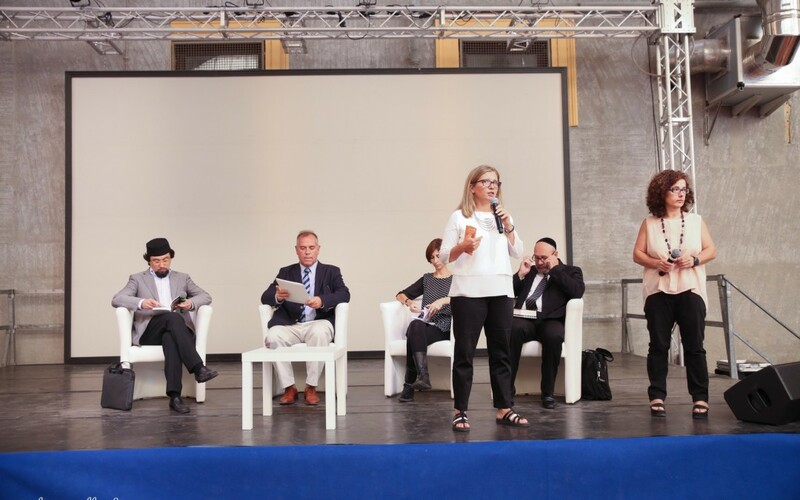 UNESCO Chair Director Alberto Garcia joined representatives of monotheistic religions for “the lunch of delight” during the International Festival of Hebraic Literature and Culture on September 6, 2015. 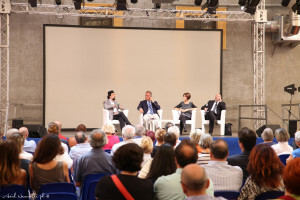 Espresso journalist Lara Crinò guided the dialogue between Garcia, rabbi Roberto Colombo and iman Yahya Pallavicini on eating as a moment of encounter. The round table discussion was divided into five parts. First, the participants reflected on food as a fundamental right. In particular, they analyzed their shared support for call for all governments to ensure the access to food and water found in article 14 of the UNESCO Universal Declaration of Bioethics and Human Rights. Second, the participants looked at how food can become a place of relationship in a wide range of religious and cultural traditions. They noted that man does not eat simply to fulfill a biological instinct, but transform such needs into an occasion for building community in an openness to the richness of the other. Third, the experts noted that feasting entails both joy and remembrance. Traditionally, the family meal is a moment of respite after a long day of study and work in which each member can recall, celebrate, and share the blessings of the preceding activities. The dimension of remembrance is especially present in those homes that host multiple generations under the same roof. Fourth, the dialogue partners recalled the special importance that Jesus, deeply rooted in his Jewish tradition, ascribed to meals in his life and ministry. In the choice to begin his long-awaited public ministry, in his frequent controversial dinning with sinners, and in his Easter meals shared with his surprised and overjoyed apostles, Jesus frequently utilized food to transmit the most sublime of messages. Finally, Garcia highlighted how the Catholic tradition has given special significance to food and nutrition in its long tradition of Eucharistic piety. We could say that his last will and testament was that his followers should relive the experience of the Last Supper throughout the ages. It should thus not be surprising that the same faith tradition looks forward to a heavenly banquet as the definitive satisfaction of man’s every authentic hope and desire. 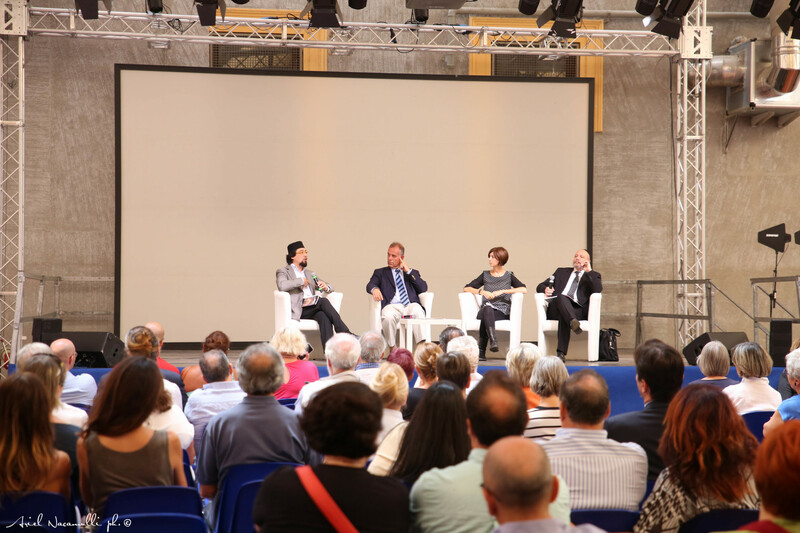 An extensive broadcast summary of the week’s events can be viewed on the renowned Italian channel Rai here.